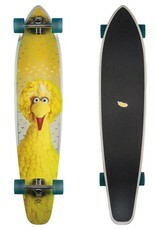 + 43" x 9.5" x 28.75"WB The Byron Bay Big Bird is a Resin-7 hard rock maple longboard with a mellow concave and kick tail. 150mm Slant reverse kingpin trucks, 70mm 78a wheels, abec 7 bearings, super high rebound bushings, die-cut griptape, holographic prism foil, transparent and pearlescent ink. Original character image from the Sesame Street archives. 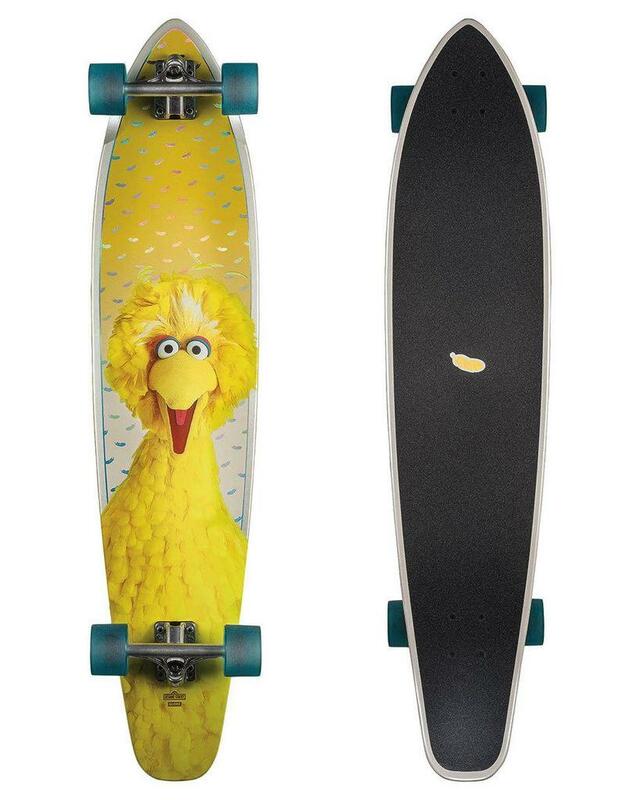 Globe proudly supports The Sesame Street Yellow Feather Fund, which provides early education to millions of kids in need through projects like the WASH UP! Global Heath Initiative and Autism: See Amazing in All Children. If you’re feeling inspired, go to YellowFeatherFund.org to learn more or make a donation.